Get to know your neighbors: Bat rays! I am a relative of the shark, look like a bat, and swim like a bird flies. I am the myliobatis californica, commonly known as the bat ray. I like to live a life of solitude, hidden in muddy, coastal bottoms or enjoying the bustling life of kelp beds and rocky-bottomed shorelines, from as north as Oregon and as south as Baja California. Although I don’t have menacing teeth like my shark cousins, I prefer to feast on crunchy food such as mollusks, crustaceans, and small bony fish. I use my flat, plate-like teeth to crush my snacks, but don’t worry, I don’t eat the bones, just the meat. My friends tell me I’m special because my eyes are on top of my head but my mouth is on the underside of my body! Therefore to find my dinner I pay special attention to water currents as well as jets of water, and I can detect electrical signals! When I think I’ve found a snack I flap my wings as hard as I can and use my snout to get my food into my mouth. One of my defining features is my self-defense armor: my stinger. I’ve had my stinger since birth, but it was wrapped in a protective covering. My mom told me that I looked like a rolled taco as a newborn because my wings were wrapped around my body in a fan favorite Mexican food fashion. But hours later I was flapping all over the place and the protective covering on my stinger had come off, so I had instant protection. This came in great handy because I had to go off to find my own food and become independent almost immediately, only depending on my mom for minimal protection for the first few years of my life. Although I am infamously known for my stinging abilities, I am more vulnerable than you think! Because I am at the top of my food web for in-shore ecosystems, I have few predators out to get me. As lucky as that sounds, it has also caused me to be a slow grower. Fish of my kind reach sexual maturity at a later time, and we have between 2 and 12 babies at a time. 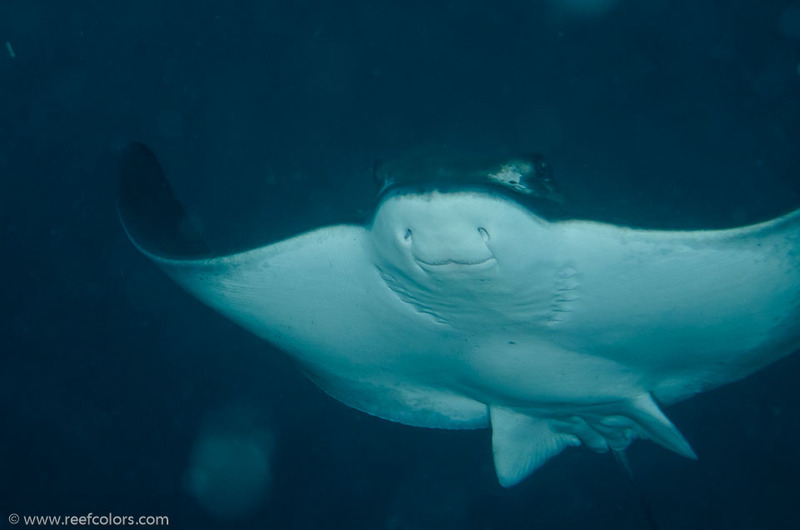 This means that other bat rays and I are especially affected by disturbances such as pollution, fishing, and habitat degradation, which occur largely along estuarine and coastal areas. While I am not a target for commercial fishing, at least in the United States, most of my bat ray friends are being captured as bycatch, especially by the shark finning industry! There are unprecedented consequences on other organisms and the ecosystem as a whole if this keeps happening unchallenged. A decline in my species could result in an explosion of mollusk and crustacean populations, causing a chain reaction down the food web. This is one of the many reasons why I am so thankful for Marine Protected Areas. These regions provide safe homes for me and my friends, where we can live without fear and are able to thrive! I love living in California because it has one of the largest systems of Marine Protected Areas. 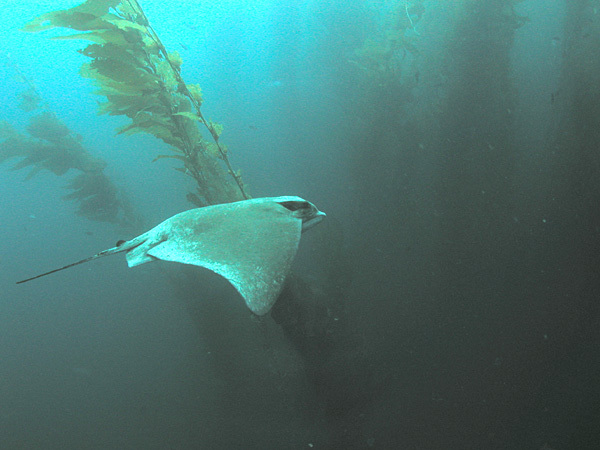 My bat ray friends and I make up one of the most abundant species found in Southern California! We especially love the Californian coast and estuaries because they hold the most appealing breeding grounds for us. However, I’m not a crowd favorite amongst human populations. I hold a bad reputation because of my stinger but I promise I am not a mean fish! I have venomous stinger at the end of my tail to protect myself and thus only use it when I feel threatened. I don’t mind swimming around my fellow humans but I do appreciate a warning signal to prepare myself, so instead of running into the water and risk stepping on me, shuffle your feet! Check out this Shark Cam from the Monterey Bay Aquarium and see if you can spot any of my friends!